After the devastating defeat of Ronda Rousey, people started mocking her and quick to judge that she is an overrated fighter. 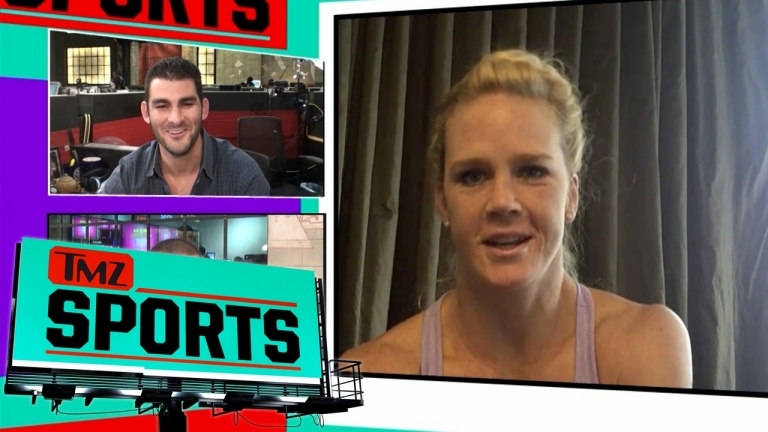 TMZ interviewed Holly Holm on what she thinks about all of this. "I don't want any of that to happen, I do feel like I come from maybe a little more humble spot, but that's just because I don't wanna ever say, 'I'm this good' or 'I'm that' and then have something happen and look like a fool." "Ronda's been a very dominant champ, and she's taken the sport to new levels. And this fight wouldn't have happened if she hasn't accomplished what she's accomplished. So I have a lot of respect for her." "Don't get me wrong, I don't wanna give away any bit of my victory, so I'll take it. I'll take the win, and I'll take that I did it dominantly. But that doesn't mean that I wish any harm on her, that doesn't mean that I wish any hate on her. I think people can be pretty brutal, and when you're in the spot she's in, there are people that are just gonna jump ship, and I don't ever wish for that."